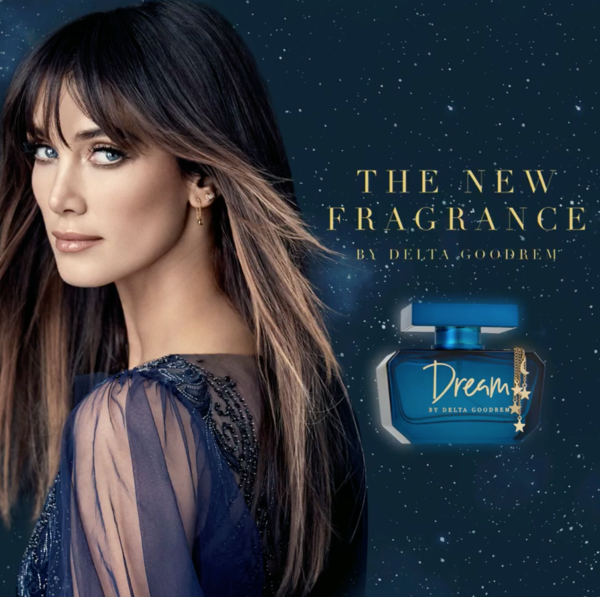 Delta is set to release her second fragrance “Dream” on August 3rd, exclusively through Chemist Warehouse, My Chemist and My Beauty Spot stores Australia-wide and online. Pre-order yours now! The first 1,000 pre-orders will be personally signed by Delta. Created in conjunction with Bondi Perfume Co, "Dream" was forged from Delta’s true belief that producing her first fragrance was a “dream come true”. Opening with tempting top notes of juicy nectarine, wild moon flower and whipped orris, with added heart notes of almond milk, gardenia petals, iris blonde woods and heliotrope, "Dream" is a floral woody musk fragrance that evokes a feeling of smooth sensuality by mimicking the elegant scents of nature. “When I created my first perfume, I wanted to have a fragrance that could blend into any woman’s life. My inspiration and purpose is that we all have our journey in life and a favourite scent gives us memories, purpose and confidence. 'Dream' is the continuation of this wonderful journey, that we’re on together”, said Delta. I feel so blessed and incredibly grateful to be able to create a second fragrance - it really does feel like a dream come true”, she added. “Dream", by Delta Goodrem will be available exclusively from Chemist Warehouse, My Chemist and My Beauty Spot stores nationwide in addition to online at chemistwarehouse. com.au from August 3, 2018 in 30ml ($29.99), and 100ml ($49.99). Click here to pre-order now!